The New York Yankees will need the utmost effort from their starting pitching unit if they wish to reach the World Series and compete for the organization’s 28th ring. But, as we know, it all starts in practice, currently, offseason training. The expected No.3 man behind J.A. Happ and Luis Severino, Masahrio Tanaka, has tweaked his offseason regime to try and get a head start before the 2019 opener in March. Last year, Tanaka finished with a 3.75 ERA, allowing 68 runs and 25 homers over 156 innings pitched. The 30-year-old was rather effective throughout the season, despite struggling to start games – he seemingly improved as each game progressed. 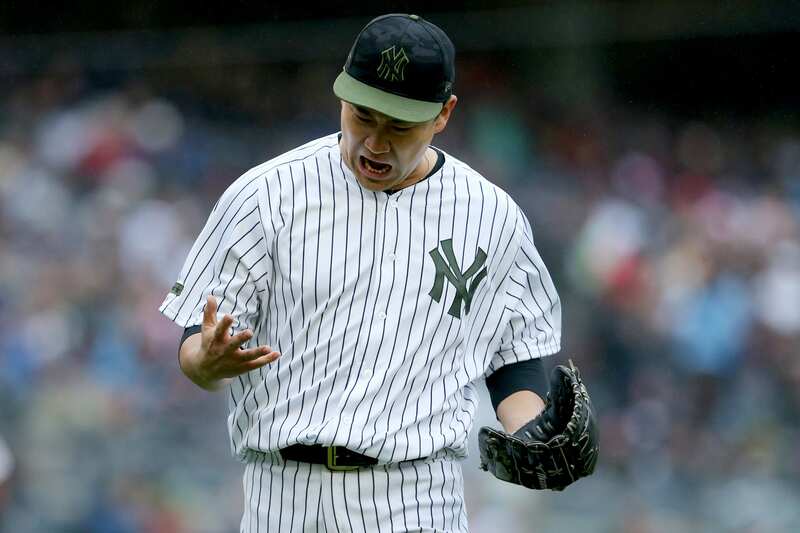 According to the New York Daily News, Tanaka is feeling the pressure from a fan-base that has high expectations for the most illustrious team in baseball. “I was able to work out somewhere that was a little bit warmer, so I feel like my throwing program is a little bit ahead of where it was last year,” Tanaka said through an interpreter. Getting a few extra days of work can be the difference between being prepared or not for a pitcher in the MLB. Pitchers and catchers will report to Tampa on Wednesday for the beginning of spring training…I know, FINALLY! Several Yankees players have already headed down south to begin training. That’s what it takes to be a serious World Series contender, the will to do whatever it takes to prepare and improve.